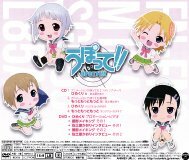 This CD+DVD package contains the ending song and an insert song to the TV anime Upotte! Songs by Sadohara Kaori (佐土原かおり). The DVD contains a promo video of "Himekuri", some making of videos, and an interview of Kaori.